Desert Foothills Air Conditioning & Heating Inc is proud to serve the Anthem community! 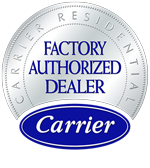 About Anthem, AZ - Happy to be your hometown Heating & Air Conditioning Contractor! 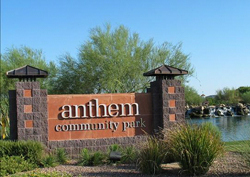 Anthem is located in Maricopa County, AZ, and this community was developed in 1999 by Del Web. The community’s population is estimated at 25,000, and this community has been named one of the best places to raise a family in the state. Anthem is located within Phoenix’s northern foothills, and it can be found about 34 miles north of the downtown area. This area is known for its subtropical desert climate with warm winters and extremely hot summers. Anthem is home to a variety of attractions. The Anthem Community Center and Anthem Country Club are great recreational options for residents and visitors. The Daisy Mountain Railroad is also located in Anthem, as is the Pioneer Living History Village. There are also a variety of shopping opportunities available in this area.